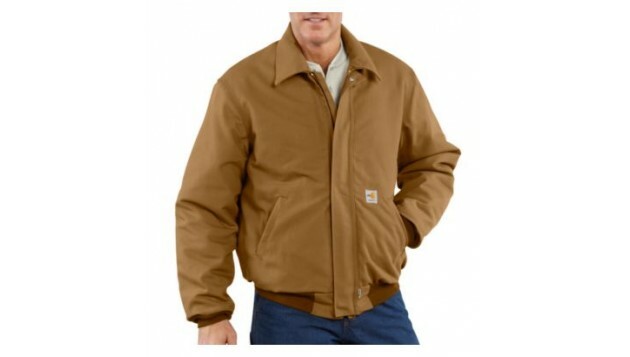 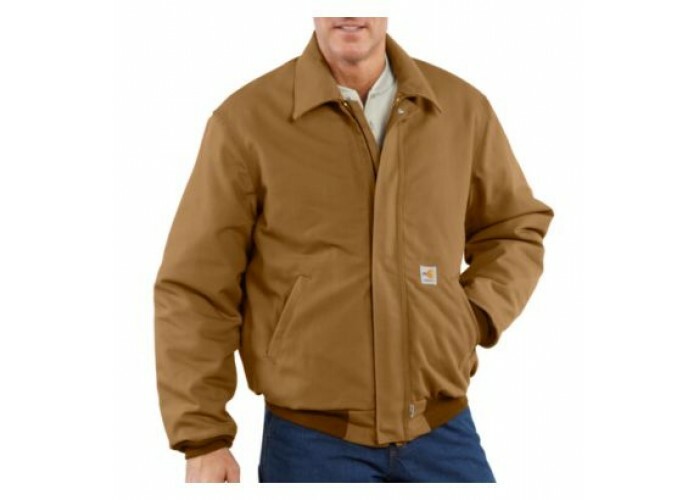 Our flame-resistant duck bomber quilt-lined jacket will keep you warm in cooler weather. 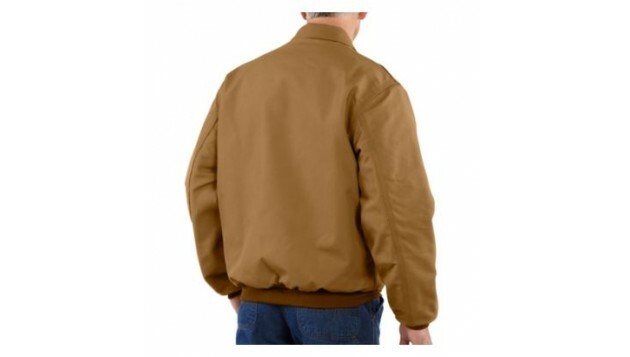 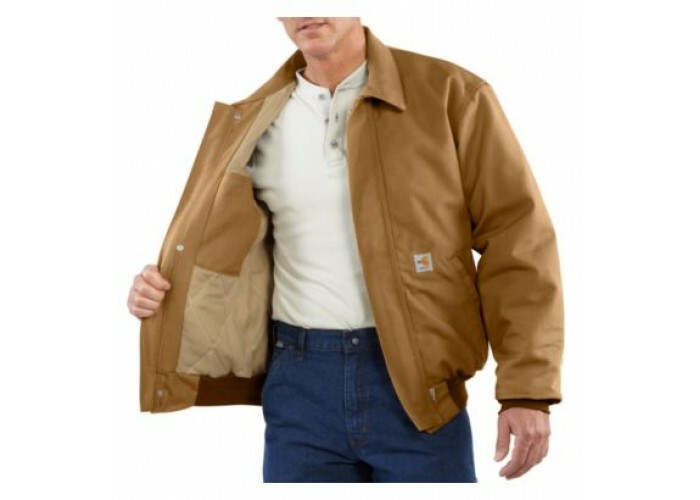 Made of 13-ounce, 100% cotton flame-resistant duck with a 10.5-ounce flame-resistant quilt lining, it has two inside patch pockets with flame resistant hook-and-loop closure for convenient storage and Nomex® rib-knit cuffs and waistband. 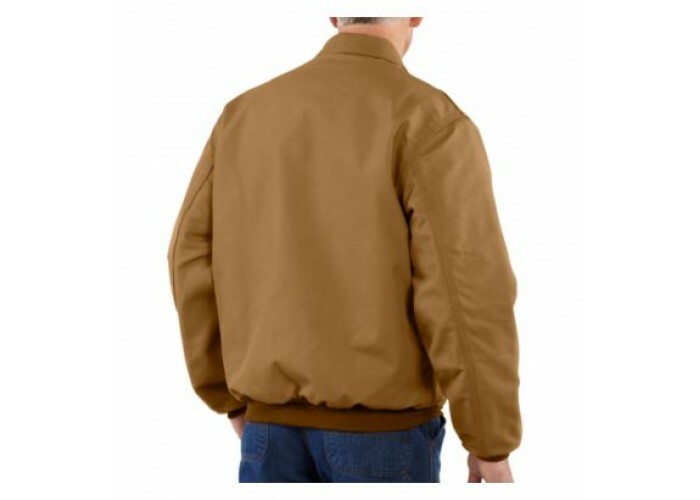 It also features a brass front zipper with Nomex® zipper tape that has inside and outside protective flaps and hidden snap closure for electric arc protection. 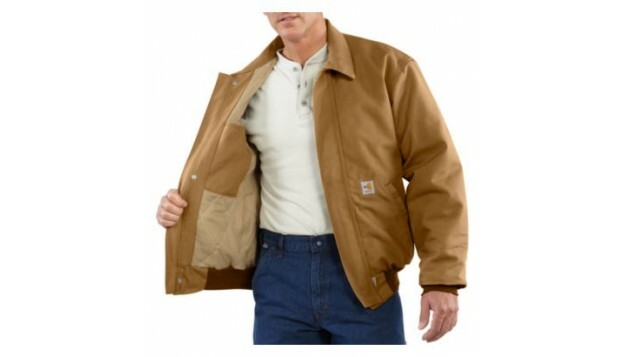 An optional flame-resistant hood (FRA265) can be attached with snaps under the collar. NFPA 70E compliant.